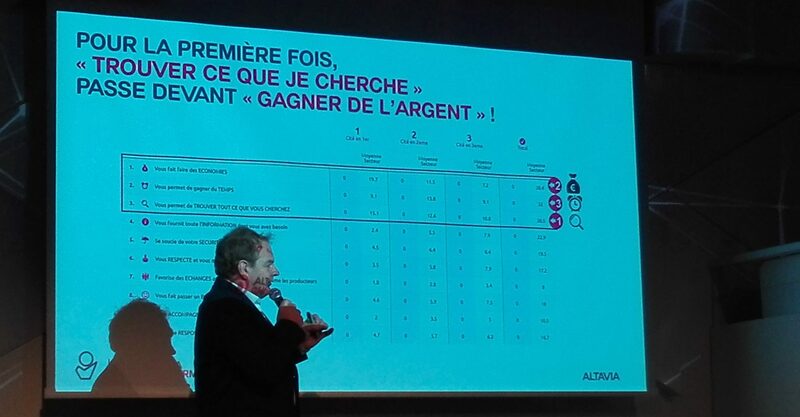 Unveiled in Paris on May 29th, the results of the Baromètre de la Valeur Shopper® (Shopper Value Barometer) confirmed a trend which had been drawn for 2-3 years: the “To find what I am looking for” criterion takes first place, before the “Price” criterion. Jean-Marc Mégnin, Shoppermind General manager, offers some insight. “For years, the priority criteria in the expectations of customers towards retailers were “To earn money” and “To save time” – proximity -. The acceleration caused by the digital deployment now means that it is possible to find everything a person wants. Customers no longer want to make the effort to make a trip if they are not sure that they will find what they are looking for (product, size, colour, etc.). This year, the criterion “To find what I am looking for”, which was seen becoming more and more important in the previous barometers, takes first place in the food sector. And not just in the food sector! All sectors are affected: cosmetics, do-it-yourself, etc. Although the “Find what I am looking for” and “Save time” criteria have both gained weight in customer expectations, it does not mean, of course, that price is not a priority criterion. However, the act of “saving time” is unconsciously experienced as necessary. Establishments are engaging in such a price war that customers expect to benefit from good prices – unless they decide to do their shopping at a health food store where, fully conscious and fully informed, they will pay higher prices-. In recent years, the media discussion and advertisements by establishments have placed too much emphasis on the price criterion while this concept has become relative. Establishments that want to resume the top position must become a part of it. Furthermore, the 2018 barometer places in first positions Biocoop, then Grand Frais and Picard, which are not establishments considered to be the least expensive! Studies demonstrate that now, in stores, a customer is faced, two out of three times, with an out of stock item. The sought product is no longer available. However, what a customer could understand and accept before is no longer tolerated today. Worse than irritating, this failure in the system is no longer bearable for customers, who want above all “to find what they looking for”. Establishments that allow their customers to optimize their time – and not only to “save time” – while doing their “requirements” really earn points. This new way of life, revealed by the Barometer, does not apply only to the commercial world: it is a real social phenomenon. Optimizing your time has become an obsession for everyone. 6 years ago, Shoppermind, Altavia Group’s retail trends observatory, launched the largest study 100% oriented to distribution customers: the Shopper Value Barometer. The aim? To measure the link between the client and its brand. Every year, over 5,000 customers of 150 establishments – 7 different sectors – are surveyed in this manner, using the ten main expectations that make up the Shopper Value: price, time, information, protection, respect, etc.